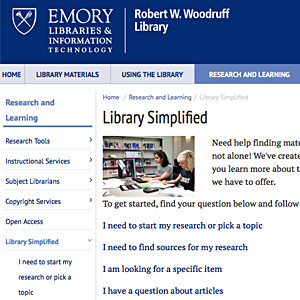 Library Simplified -- Find your question and learn how! Then use the database to find articles and other types of information. e-journals -- Search e-journal titles. Log in to discoverE using the "Sign In" link at the top right of the page. You can renew what you have checked out or see what records you have saved from discoverE in your eShelf.